A year ago my son Nathan got married, then moved to Texas. A couple of weeks ago I was able to travel to San Antonio with my wife to visit with family. We have never been to this part of Texas before. Nathan picked us up at the airport and took us to visit with some of our family that live near by. We spent the night which was great, and very enjoyable reconnecting with loved ones. I got to thinking how often we take life too seriously like the tourist on the boat that choose to look at life half empty. 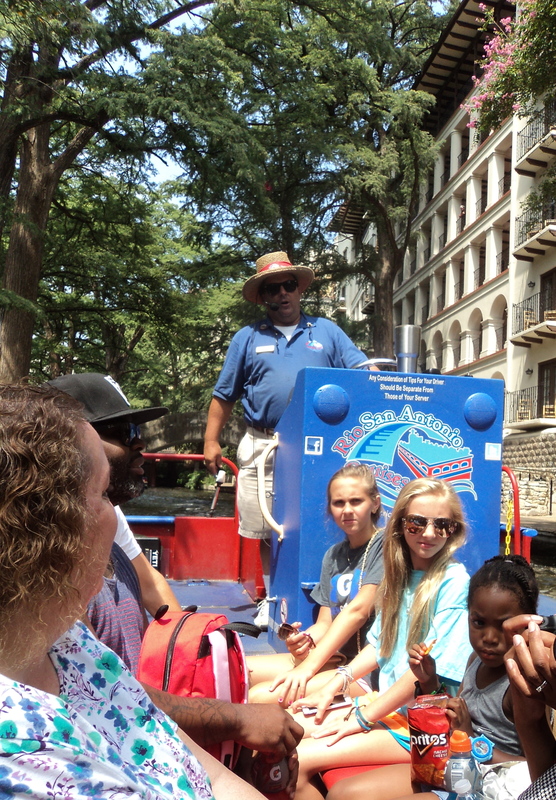 Our tour guide chose to make the best of his situation, and looks at life with a positive twist. Unlike the unhappy tourist, I enjoyed the tour just like it was. Around every twist and turn of the river, I was enjoying the way our tour guide was turning negative situations into a very entertaining river tour. On our way back to our car we forgot where Nathan parked. We looked all over. It was hot and we were getting exhausted from going from parking lot to parking lot. Then my wife remembered a landmark by our parking place. Everything became more clear where we parked. Within minutes we were sitting in our air conditioned car headed towards Whataburger for lunch. It didn’t matter that just a few minutes before we were lost and hot. The important thing was we were with our son making memories. Everyday we experience challenges. How we face each situation determines our attitude. Our attitude determines altitude. I choose to fly high with a positive happy life. You can, too.